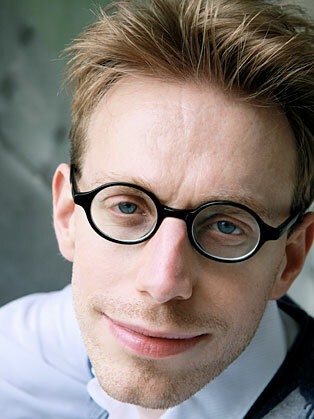 Daniel Tammet is a writer, essayist, translator and autistic savant. Best known for his 2006 memoir, Born On A Blue Day. Daniel Tammet is an English writer who has linguistic, numerical and visual synesthesia — meaning that his perception of words, numbers and colors are woven together into a new way of perceiving and understanding the world. Born On A Blue Day, Daniel Tammet’s bestselling memoir about growing up with high-functioning autistic savant syndrome, helped reveal the complexity and creativity of different kinds of minds. In it and his other works, Tammet’s love of words and numbers (he experiences both as colours, shapes and emotions) shines from the page, as his prose vividly explores the intricate relationship between abstraction and the human person. Tammet’s most recent non-fiction book, Thinking in Numbers, is an enchanting collection of essays about the many ways in which numbers shape and underpin our lives. His first novel, Mishenka, portrays a brilliant Soviet chess grandmaster’s intuitive search for meaning.